This sterling silver shamrock necklace features dimensional Connemara marble inlaid in each leaf along with marcasite stones set in the leaves and the stem. 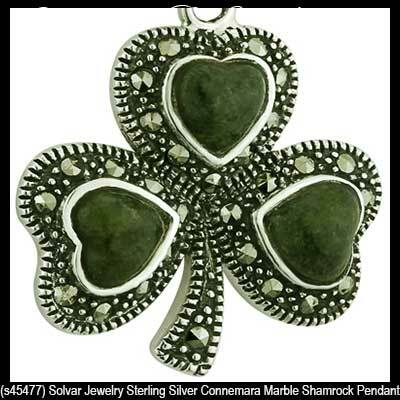 The Connemara marble shamrock necklace measures 3/4” wide x 1" tall, including the jump ring and the chain bail and it includes an 18” long sterling silver chain. 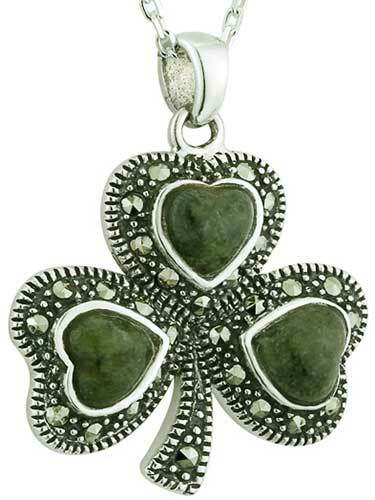 Connemara marble shamrock necklace is crafted in sterling silver.